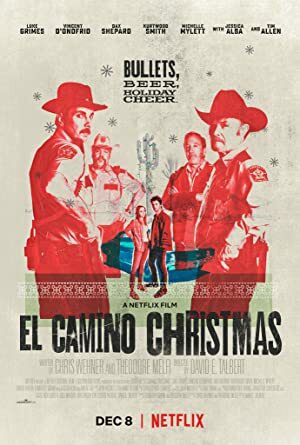 El Camino Christmas (2017) – What's New on Netflix Canada Today! Stuck in a liquor store during an alleged robbery, a group of strangers shares hidden truths and forms an unexpected bond on Christmas Eve. The project, scripted by Melfi and writer Chris Wehner, is about a young man (Grimes) who seeks out a father he has never met and, through no fault of his own, ends up barricaded in a liquor store with five other people on Christmas Eve. The story takes place in the fictitious town of El Camino, NV. Eric comes to El Camino looking for his unknown dad. He's harassed, hit and jailed by a drunk local cop, who later shoots at a liquor mart with Eric +4 inside. The sheriff and deputy then shoot up the place, answering each other's fire.